1942 Dad worked today It seems lonesome without Marie. No Mail. went To show & I won 3.00 at Keno. 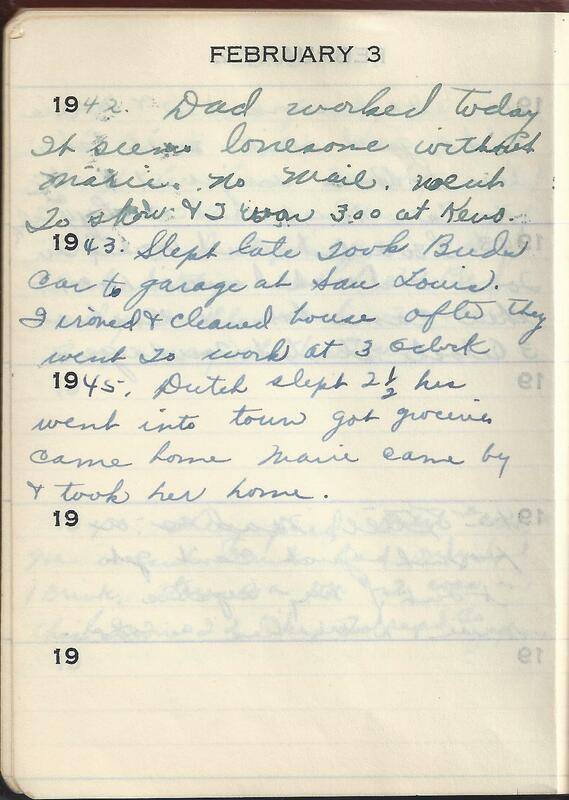 1945 Dutch slept 2 1/2 hrs went into town got groceries. Came home Marie came by & took her home.